Turkey has recently been subject to civil unrest, sparked by plans to demolish a park in the centre of Istanbul, the commercial capital of the country, but Emre Akcakmak, portfolio manager at East Capital says the investment fundamentals of the country remain sound. For investors, as has been the case when viewing similar unrest on the streets of Europe, North Africa and the Middle East in recent years, there is a natural desire to understand what the ramifications of such actions may be, in terms of risk that goes beyond calculations of volatility and mean reversion of asset values – such as the level of political risk. 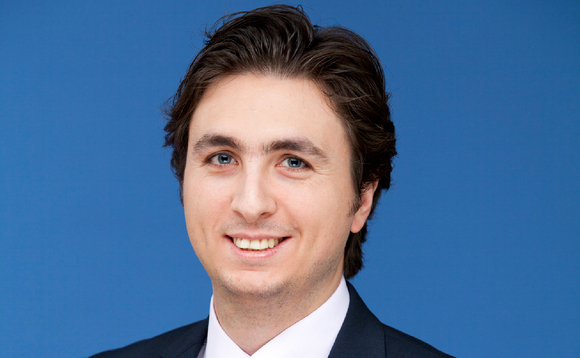 Emre Akcakmak, portfolio manager at East Capital and originally from Turkey himself (pictured), says the events in the country have evolved from a protest over a park into one that pits a broader section of people against the government, which they accuse of showing authoritarian tendencies. “Although we are not in a position to make any conclusions on the social side for now, we think that there may be certain degree of political risk premium given the confusion among investors and that we are entering into an intense election cycle over the next two years,” Akcakmak says. What is unfortunate is that the political risk goes beyond Turkey’s borders. There has been significant displacement of people from Syria into Turkey. However, despite the issue of exports noted, Akcakmak stresses that the domestic opportunities remain strong. One of the reasons is the different levels of economic maturity, which throw up different opportunity sets for investors. In the western part of the country, Istanbul, with its services industry and domestic consumption is a significant contributor to the country’s economic growth. But for investors it is worth noting the many small and medium sized enterprises in the central and eastern parts of the country that are growing. “These rising stars of Anatolia, so-called “Anatolian tigers”, are constantly looking for new businesses not only in their homeland but also in the region that surrounds Turkey, including the Near and Middle East, Russia and CIS as well as North Africa,” he says. For those doing the investing, such as East Capital, there are other long term developments that suggest that it is worth sticking with the country despite the near term political risk. Many of those working in the country’s financial services sector, in turn providing services to foreign investors such as East Capital have been educated abroad in the US or EU, or have attended what are considered high quality local universities. This is being reflected in the regulatory environment and through the development of further financial services, Akcakmak says. The EU links are, of course, crucial to Turkey. The EU remains the biggest trade counterparty, but it is also worth recognising the growth in non-EU exports, he says. That income per capital should grow, particlarly as the EU convergence story continues, he adds. In the past decade per capital GDP increased from a third to a half of the EU average.